BALSAM, GHUT, Tortola, VI –Nine prisoners were today, Thursday, August 16, 2018, returned to Her Majesty’s Prison (HMP), in Balsam Ghut, Tortola, in the Virgin Islands (VI) following their relocation to St. Lucia’s Bordelais Correctional Facility last year. The prisoners, who arrived in the VI prison around 11:45 AM on Thursday, were among a number of inmates transferred to the St Lucian Correctional Facility in 2017 after HMP was severely damaged by the passage of Hurricanes Irma and Maria. 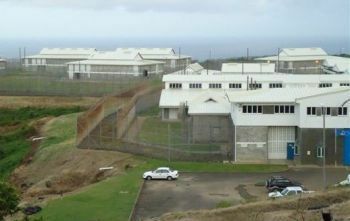 The government of St. Lucia had agreed to take some 21 of the most high risk inmates. 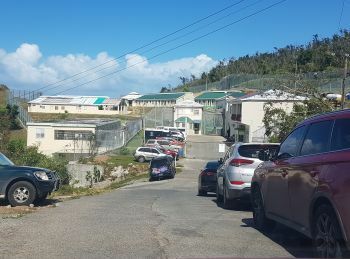 The prisoners returned to the VI are Aaron George, Kareem Durante, Orlando Bonnick, Yan Edwards, Devin Maduro, Matthew D. Hazel, Jessroy McKelly, Sherman-Abdul Williams and Dennis D. Campbell. 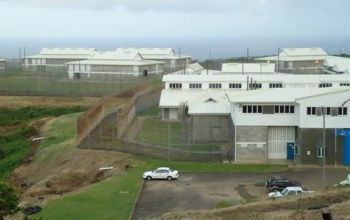 It is unclear when the remaining VI prisoners being detained in St Lucia will be returned to the Territory. Co-leader of Government, the Honourable Myron V. Walwyn (AL) told the House of Assembly that it cost tax payers some $78,000 for six months to house the prisoners, a breakdown of $13,000 per month paid to the St. Lucian Government. The Virgin Islands prisoners had previously complained to our newsroom about the poor living conditions, lack of clean drinking water and inhumane punishments they endured at the facility in St. Lucia. Hon. Walwyn also made a visit to the penitentiary last year and, and later hired the former head of the Bordelais Correctional Facility Verne Garde to run HMP—when there were locals qualified for the job. It was a story first and accurately broken by our news room. When Mr. Walwyn hired David E. Foot, Garde’s predecessor, he claimed that there would have been succession planning, but there was none. @wellsaw we need more than more than room itsn not only 2 of them is mostof them . Interested of just basketball on TV I believe they should start showing TED Talks everyday. I also believe They should get a few dogs or cat to be in there among them. A lot of people don’t know how those simple things could positively help them. If more schools actually had a school cat or dog they will see a difference in behavior. We also need a real (second chance) initiative that will actually give them a hand up vs hand out. Sooner or later some will be released from prison and back into our communities. We all hope the experience post Irma in St.Lucia was enough for them to seriously think twice about life. Mr.Foot had some really nice plans before Irma but I hope they could come online with others In charge.